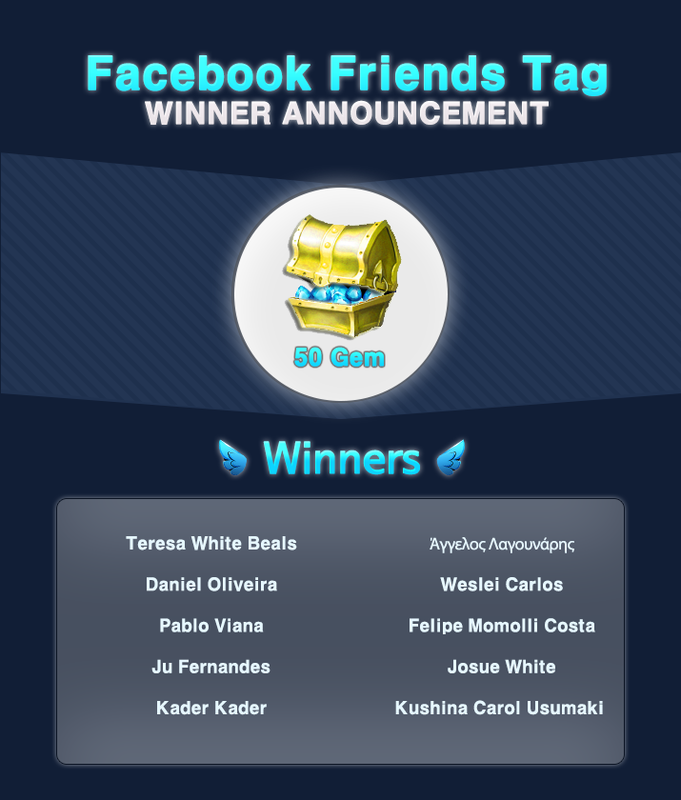 To start off, we would like to thank everyone who has participated in the Facebook Friends Tag event thank you so much! A special congratulations to all our winners! - A message to collect the game information(such as character's name) will be sent out to the winners soon, so please check your Facebook inboxes. - Only the persons who send us the information within the deadline will receive the rewards. - The reward will be sent through the in-game mailbox by next maintenance day(Apr 23), so please keep an eye out! - If your name is changed or delete the tag, you can't receive your reward.